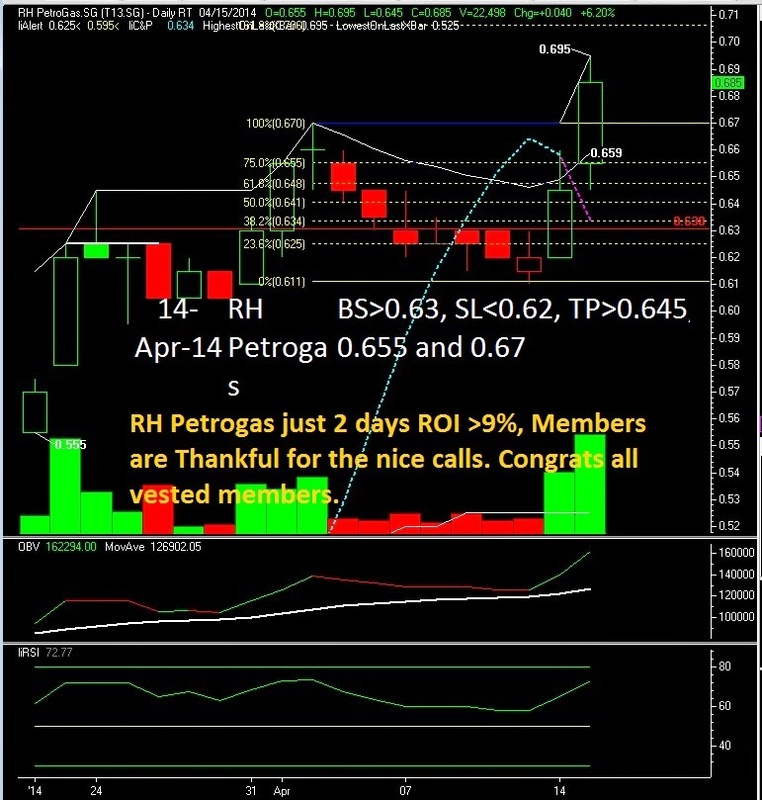 RH Petrogas just 2 days ROI >9%, Today all our trading targets all hit. Members are Thankful for the nice calls. Congrats all vested members. Click here to see our earlier post. We are sorry to inform that our FREE trial is ended because of buffer seat is sold out. Interested please SMS Name, HP and Email to 83180486 to join as a paid user.